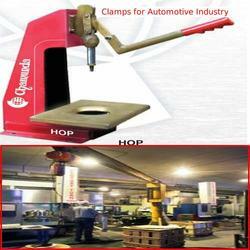 Manufacturer of a wide range of products which include clamps for automotive industry. We are amongst the leading names in the industry, offering wide array of Clamping Accessories for Work-holding Fixtures. Our entire product range is quality assured and is abrasion resistant in nature. We deliver them as per the exact preferences of our discerning clients. Looking for Clamps for Automotive Industry ?